We are pleased to introduce you to the winner of Kindness Foundation’s 2017 Della Paul Memorial Scholarship Emily Shibata! Throughout her high school experience, Emily has been an active member of her school and larger community. For over five years, she was a leader at the Haven Institute’s highly acclaimed child development program, which focuses on increasing self-awareness, social understanding, cooperation and empathy through a variety of activities and discussion. Emily was also a volunteer teacher at Telacoya Marisol Japanese preschool, where she taught Japanese for six summers. Furthermore, Emily is passionate about medical science. She has dedicated over 400 hours to cancer research as a volunteer research assistant at the BC Cancer Research Centre’s Integrative Oncology Imaging Unit. Emily was also a member of a weekly work party that removes invasive holly from Pacific Spirit Park, as well as a member of the Great Canadian Shoreline Clean-Up work crews which meet annually. During her grade 11 year, she created and ran interactive sustainability workshops for elementary school students to bring awareness to the importance of pollinators. At her school, she was on the basketball, ultimate, and physics Olympics teams. In addition, Emily helped start a peer mentorship program and prepared workshops with a group of students on feminism and the empowerment of women, which was then shared with the school. Finally, Emily maintained a high academic average throughout her high school career, annually making the Principal’s List. In the fall, Emily will be entering the University of British Columbia’s Faculty of Applied Sciences, where she hopes to major in Chemical and Biological Engineering. Her goal is to improve people’s health through biomedical engineering, which she plans to pursue in her graduate studies. 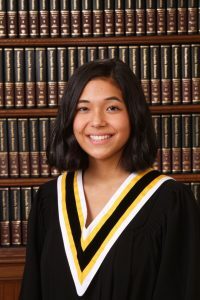 Emily is honoured to receive the Kindness Foundation’s Della Paul Memorial Scholarship, and will continue to contribute her strengths towards creating a kinder future.